I make for your enjoyment quality performance Muppet style puppets hand made from all new materials. fleece, foam, felt, thin board, hot & contact glue, thread, plastic eyes, faux fur, cotton material & poly fill. these puppets measure 45cm long from head to lower body and 25cm across the shoulders. 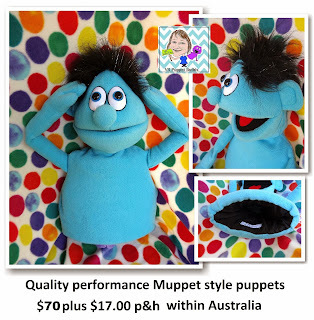 For your ease I have added an inner sleeve to all my puppets allowing your hand to slip in and out without feeling that annoying inner foam body. My own label is sewn inside each one. 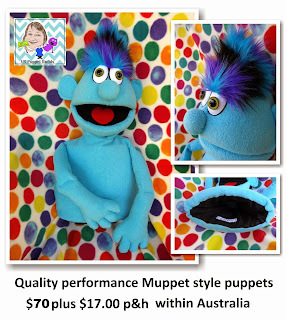 Please remember this is a performance puppet and NOT a toy ! I recommend you store your puppet in a pillow case straight after a performance to keep it dust free. These three puppets come undressed. 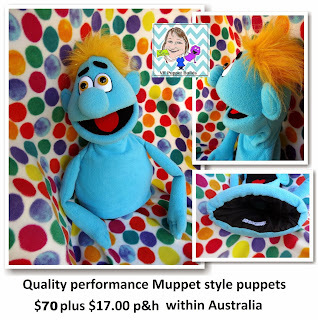 when you dress your puppet please choose a size 1-2 children's clothing. 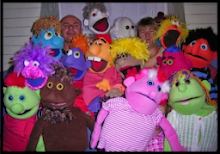 These puppets can be used in many ways... outreach, in school drama classes, as a communication aid tackling some tricky issues, School teachers class room aid, in hospitals, nursing homes, storytelling for Librarians, or just for the grandparents to entertain their grand kids or big kids alike. 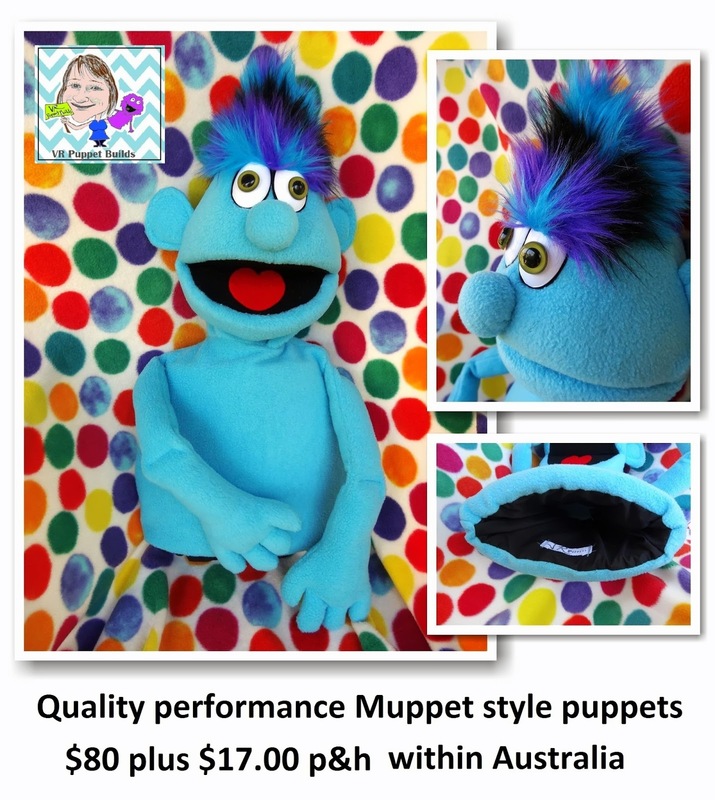 Drop me a line and let me know some of your ideas on how you would use a puppet! please leave your feedback, press like on my face book page and spread the word! "VR Puppet Builds"